US1 Airport parking offers fast service both at departure and at arrival. The location is easy to find on 2800 S Federal Hwy just minutes from the Ft. Lauderdale Airport and Port Everglades. The price was more than reasonable and the staff was extremely helpful. I give it five stars! What a wonderful experience overall, completely stress-free and not a single problem! The entire staff was friendly and helpful beyond my expectations. Highly recommend US1 Airport Parking! So happy that I found a company like US1 Airport Parking! I needed to fly out of Fort Lauderdale for a business trip and needed a place to park that wasn't going to gouge me like the airport parking does. Made my reservation online ahead of time and when I arrived at the front desk was greeted by a very friendly lady who helped to get on my way. My return home was just as great and completely painless too! Love US1 Airport Parking! The shuttle was quick and easy both when I was leaving for vacation and upon my arrival home. I made my reso online beforehand, printed it out and gave it to the valet that met me at my car when I pulled into the lot. Everything else was a breeze too! Will use these guys again soon! Trust me, US1 Airport parking is the parking you should choose the next time you're searching for somewhere to store your car close to the airport or Port Everglades. The amazing added bonus was that for a small extra charge I was able to have my completely filthy car cleaned and detailed too! There's nothing better than coming home to a sparkling car that you didn't have to clean! I've had an overall great experience with US1 Airport Parking. It was so close to the airport too! The US1 Airport parking lot is a decent size, not too big to ensure that my car was safe but not too small to worry about being able to reserve a spot when I need it. The lot attendants also showed me that there were security cameras and the also told me that there was a security guard on duty 24/7. I left feeling that my car had been completely taken care of the entire time and had nothing to worry about at all. US1 Airport Parking is a far better alternative to airport parking. It's way cheaper and so much easier because I don't have to load and unload my luggage myself. This will be my go-to airport parking lot from now on. Thanks to the staff for taking good care of me! US1 Airport Parking is the best! They are really fast at getting you checked in and on your way. The manager went out of his way to make sure we were happy with the service we received both at check-in and check-out. Thanks guys for the great service! You won't hear a single complaint from me! Great rates and the service was amazing, both fast and friendly. I didn't have to wait long at US1 Airport Parking long to catch a free shuttle to the airport either! This is a far better option than a cab or uber without a question. So happy with the service I received from US1 Airport Parking! It was my first time using this company and I will definitely continue to use them in the future. Located at 2800 S Federal Hwy just minutes from the airport. I am really happy that I found US1 Airport Parking when I was planning out my vacation. It's cheap to park there, they offer valet parking and for a small extra fee they will even clean and detail your car. Using US1 Airport Parking is far better than parking at the airport. It's so easy, the staff takes care of everything for you. I left my car with the valet, when into the office and checked in, got on the shuttle in just a few minutes and never had to load or unload my own luggage. My return trip ran just as smoothly too! It's completely worth it to spend the few extra minutes that it will take to park at US1 Airport Parking rather than the airport itself. You'll save a boatload of money and they provide fast service from drop off, shuttle pick up and check out and all customers are treated like VIPs! US 1 Airport Parking has the friendliest staff! The rates are great and it's super close to the airport too! I have no idea why anyone would want to spend more than double to park at the airport when you can park at US1 Airport Parking and let them pamper you a little, I mean you are on vacation, so why not? Everyone that works at US1 Airport Parking is very nice and helped to make sure that I was on time for my trip. The shuttle to the Everglades port where my cruise was leaving from was quick and left me with tons of time to spare. Pick up was prompt, they were actually waiting for me, which was awesome! This is a great lot to store your car while you are away on holidays! Simply drop off your car at US1 airport parking, hop the free shuttle to the airport with plenty of time to spare. When you return from your trip, call them while you're grabbing your luggage and they'll be there when you exit the terminal to take you back to their lot to pick up your car. I was worried about leaving my car anywhere near the airport for an extended period of time, then I found US1 airport parking. But I was quickly put at ease when I arrived and saw that there was security who were actually doing their jobs, walking around the lot and making sure that all cars were secure. Needless to say, I was more than happy to leave my car parked for the week. Booking with US1 airport parking is as easy as counting to 3! I called and made my reservation over the phone and the person I spoke with was amazing! He answered all of my questions and was more than happy to do so. When I got there for check in everything was great, quick and easy and went off without a hitch! I have no idea why anyone would have anything bad to say about US1 Airport Parking! These guys are great! They really know how to take care of their customers. Every time I've used them I have been treated like royalty! Everything was fast, drop off, shuttle pickups and check out plus the price is the best you'll ever find. Highly recommend! If you are like me and prefer to make reservations online US1 airport parking offers this feature and it works perfectly! The price is great, much better than the competition by a long shot. I fly often enough and this is the only parking lot I ever use and have never had a bad experience in all of the times I've used them. I've used US1 airport parking now more than a dozen times in the past few years and have never had a problem at all. The staff is always very friendly and willing to go that extra little bit to make sure that my vacation gets off to a good start. I couldn't ask for anything more, keep it up US1! On my way to the Ft. Lauderdale airport now. Just dropped my car off (10 minutes ago) at US1 airport parking and am already on my way with tons of time to spare. Let's see how the rest of this goes, I'll report back after my return from my vacation. US1 Airport Parking did a great job all around. This is a much faster alternative (and far easier) to asking a friend or family member to drop you off and pick you up when you're leaving on vacation. Being affordable is a definite plus as well that's for sure. I have never had an issue while using US1. It's convenient and a stone's throw to both the Ft. Lauderdale airport and the cruise port. Two thumbs up from this gal. My wife and I have been using US1 Airport Parking for about a year now and couldn't be happier with the service and value that we have received. We will continue to use them and recommend them in the future. We suggest them to everyone who mentions to us that they are traveling from FLL airport. So happy with my overall experience with US1 Airport Parking that I really need to share. There wasn't a single part of my interaction with anyone from the company that wasn't wonderful. Everyone is looking to help you and make this an enjoyable experience anyway that they can. US1 Airport Parking is just over a mile away from Ft. Lauderdale-Hollywood International Airport. Everything about this lot is a plus. The staff is very knowledgeable and friendly and ready to help you in any way that they can. Car drop off and pick up are easy and there's valet service too! This is a good lot with some of the friendliest staff I have met. The price is right on this one and it's so close the airport you're almost able to throw a rock there. you won't be disappointed if you choose US1 Airport Parking for your long-term parking. US1 airport parking is a good park and pay lot. There are only great things to say about my experience and interaction with these guys. Professional, friendly and ready to answer any questions that you may have without hesitation. I give them a 5-star rating and the truly deserve it. This is a good lot, with decent sized parking spaces. It's clean and clearly well taken care of. I couldn't ask for a better overall experience than the one I had here. Thank you to US1 Airport Parking for taking great care of my car while I was away on vacation. 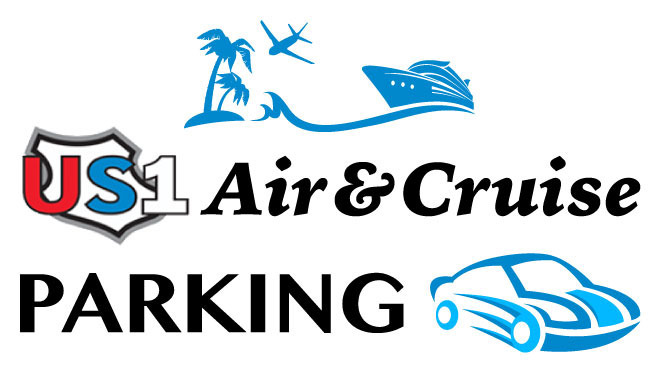 After looking up every parking lot that is close to Ft. Lauderdale airport I've chosen to go with US1 because a friend of mine recommended them saying that their fees are the best ones out there hands down. Will continue the park here when I travel. Thanks so much for everything! The guys that work the lot for US1 Airport parking are very kind and friendly. They made the entire experience as painless as possible and set us up with valet parking and assistance with luggage removal within minutes of arriving. Will use again for future vacations with family and friends. No airport parking lot can compete with US1 Airport Parking! The price was the best in the country, the staff was amazing and the location couldn't get any closer to the airport if you tried. I completely 100% recommend this lot to others. I parked at the US1 airport parking for a week last year. Everything went well and as expected but nothing stood out as being exceptional other than the great daily rates. Great lot, staff and location! 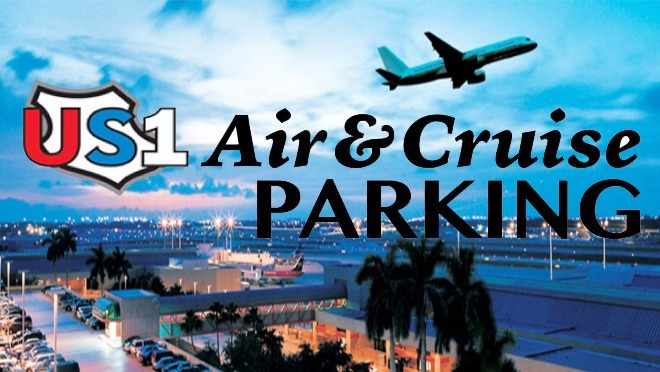 US1 Airport Parking is extremely close to Ft. Lauderdale airport and to the cruise port making it our number 1 choice whenever we are headed away on vacation. We have also recommended this lot to several friends who all have also had positive experiences. We have used US1 approximately 8 times now and have never had any problems. The manager is often there when we are traveling and both his staff and himself are very helpful and friendly. The price is right, it's close to the airport and the shuttle is constantly running. This is our go-to place to park our car while we are away. We have used US1 Airport Parking numerous times now and would recommend it to anyone. 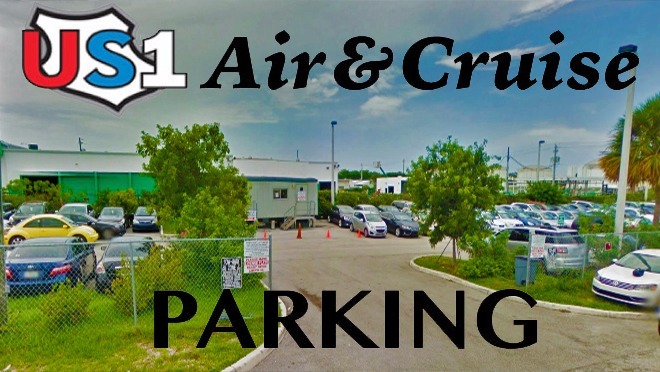 The rates will be any other airport parking lot around and it's really close to both the FLL airport and the cruise port which makes it ideal for anyone traveling out of Ft. Lauderdale no matter what way you're doing it. I have used all kinds of airport parking over the years but have never been loyal to one but this time I needed to find one that was affordable since I needed to park there for an entire month, that's when I found US1 Airport Parking. I was so impressed with the shuttle drivers, the staff that checked me in and the attendant that parked my car. For use will use again. When I got to US1 airport parking I was greeted by a very friendly attendant who was there to help me with my luggage and provided me with valet service to park my car for me and told me where it was that he was parking it. The shuttle service was short and before I knew it I was being dropped off at the airport. Will park here again in the future without a doubt. I got back from my trip and caught the shuttle back to US1 Airport parking right away. Unfortunately, when we arrived back at the lot my car battery was dead. Without missing a beat the shuttle driver lined up the shuttle, popped the hood and give me a boost before I even really knew what was going on. Now, this IS service! When we got back from our trip the other day we were immediately picked up by the shuttle. The key was we called the minute we landed and then by the time we got through security it was there waiting for us. The attendant was upbeat and cheerful and loaded our luggage into the shuttle for us. What a great way to finish up our trip thanks US1 for everything! I got stuck in some serious traffic on my way to the airport and was super stressed out that I wasn't going to make my flight BUT US1 really came through and had me checked in, parked and luggage loaded into the shuttle bus in just minutes. They quickly got me to the FLL airport and unloaded in less than 10 minutes which helped to make up so much lost time! 5 plus stars all around! What a great airport parking lot US1 is! When I showed up I was immediately taken care of and checked in without a problem. The staff worked quickly to take my bags out of the car on for me and then they whisked me away on the shuttle bus after just a few minutes so that I would have plenty of time at the airport to check in and make my flight. In addition your ratings online is not in sync with our horrible experience. Your conditions is horrible! The wait time from the parking to the port was unacceptable to the point that we were responsible for our own transportation to and from the port. I understand that this is a courtesy to us but the wait on our return was ridiculously long and we were never picked up! Bottom we will not use this parking again and the one driver on duty operating only one van was very rude. Finally, a lot near the airport where I feel like my car is going to be safe the entire time I'm away on vacation! I came back to find my car just the way I left it which is exactly why I will continue to use US1 Airport Parking in the future. It's great that I have FINALLY found airport parking that is run by honest people who aren't trying to gouge everyone the minute they pull into the lost. US1 airport parking has the best rates around, maybe even the best rates in the country. I will be telling everyone I know to park here in the future! US1 airport parking was okay. Nothing terrible but also nothing great. I felt at ease when I pulled into the US1 Airport Parking lot and immediately spotted several surveillance cameras positioned throughout the lot and a security guard walking around. I immediately knew that I would return to my car to find it just the way that I had left it. I will NEVER use any other parking lot when I travel out of the FLL airport again. The staff there are actually friendly and care about their customers. Everyone is treated so well, it's refreshing to see. Thanks to US1 airport parking for another awesome experience! I travel a lot for work and every time I travel I use the US1 Airport Parking lot. As so as I know the dates I will be traveling the first thing that I do is jump online and make my reservation. I didn't expect much from a parking lot that offered the cheapest daily rates around but I was pleasantly surprised with how great it actually was! I even decided to add the carwash and detailing services they offered and was shocked when I arrived home from my trip to a car that literally looked and smelled brand new! Thanks for truly caring about your customers, US1 Airport parking is the best! This is the best lot I've ever parked at and it's easy to use. All you need to do is show your InstaPark Pass to the attendant for validation when you arrive and you're set. The attendant will park your car for you while you jump on the shuttle that will take you to the cruise port in just a few minutes. This parking lot is great, it's close to FLL airport. The shuttle bus service was easy to use and it only it took a few minutes to get to and from the airport which helped to put my anxiety at ease thanks to US1 airport parking. I wish I could give US1 Airport Parking more than a 5-star rating. The service was better than I could have hoped for. So glad that I found this place so close to FLL airport when I did. The best parking experience I've ever had, I will be recommending this lot to everyone I know. I've been happy to recommend US1 Airport Parking to everyone I know that has been leaving for vacation since I used them myself. It's so affordable and won't break the bank at all! At under 6 bucks a day if you're away for an extended period of time, it just makes sense to use them. The US1 Airport Parking lot is located close to both the FLL airport and the cruise port too which has made it my number one choice for several of my trips now. The lot is great! It's easy to get to, all of the staff are very helpful and every time I've used the lot the staff has gone out of their way to make sure that I was completely taken care of. I've got nothing to complain about when it comes to US1 Airport Parking! I was impressed at just how safe the lot is. There are cameras scattered throughout and a security guard who actually walks the lot constantly rather than 'watching the lot' while sitting at the entrance to it. Definitely a 5-star recommendation from me. I couldn't be happier with every bit of my experience with US1 Airport Parking! I couldn't have asked for a better way to start off my vacation and all before I even arrived at the FLL airport too! Thanks for parking my car, answering all of my questions, giving me pointers and tips and for treating me so great! If I could give US1 Airport Parking a higher rating I would! Everything, the drop-off, the pickup, the staff and the lot were all completely top notch! It's clear that these guys really care about each customer on an individual basis. Love these guys and will use them again! I love that US1 Airport Parking offered more services that I could have expected! Yes, I had to pay a bit extra to have my car cleaned and detailed but with the money, I saved in the daily rate I was more than happy to have this done while I was away. the best part is that I STILL ended up paying less here than at other lots. I will be recommending US1 Airport Parking to everyone I know that is in the Ft. Lauderdale area and is traveling via the airport or Port Everglades. Everything about my experience was great and I would love to be able to share in this little gem that I found with people that I care about. Almost didn't want to post my experience with US1 because I don't want it to get full when I need it. I have to for the great experience and price. Got there and within 5 minutes left for airport on return same thing. I picked up my luggage then, as they instructed, called for pick up. They were there in 5 minutes. I will be using US1 from now on. Great parking lot! US1 is close to the airport, has knowledgeable staff and is VERY close to the FT. Lauderdale airport. My car was in better shape than when I left it because they offer a complete car cleaning and detail package and I opted to give it a try while the car was parked. So glad that I did, it looked and smelled like a brand new car when I got back from my vacation! Everyone at US1 Airport Parking is great to deal with! The customer support at check-in, the shuttle driver and the manager that was working were all very accommodating to my questions and needs. This will be my go-to lot from now on. Thanks, everyone at US1 for the great customer care and service! Using US1 airport parking allowed me to have a trip where I wasn't constantly worried about my parked car back at home. Check in ran better than I could have expected and the shuttle trip to the Everglades port only took a few minutes leaving me more than enough time to get on the boat. To be honest, for the price that you're going to pay to park here, US1 Airport Parking is the best that you're going to find. Making a reservation is easy. Having someone else actually park your car for you takes a bit of the stress of traveling off your shoulders right from the start which is great! What an awesome parking lot US1 Airport Parking is! My car was safe, the location was perfect and the shuttle ride was only a few minutes because it's so close to the airport. Will be recommending to everyone I know when they are looking for a place to park for their next trip. The manager of US1 was so helpful and accommodating when I showed up and was running behind to catch my flight from the Ft. Lauderdale airport. He made sure that I was processed and set up in just minutes so that I could be on my way and on time for my flight. When I first booked my cruise I was worried that I would have to take a taxi from home and that it was going to cost me dearly. Then I found US1 Airport Parking! It's really close to the Everglades port, much cheaper and more convenient to park there and then shuttle to the port. I was pleasantly surprised how great the service was when I parked at US1 Airport Parking after a recent business trip. Everything from drop off to pick up ran smoothly, the staff was very polite and helpful at all times. In fact, they even went out of their way to make me feel comfortable about leaving my car with them for an extended period of time. Will recommend to all my family and friends to use in the future. The service that I received from US1 Airport Parking was great! Pulling into the lot and having someone there to greet me and help me get parked was a great feeling! The staff showed me around and assured me that this was going to be the safest place for my car and it was! I heard about this lot from a friend of mine and I'm so glad that I asked around before leaving for vacation. I heard that the rates were the best around and boy is that the truth! 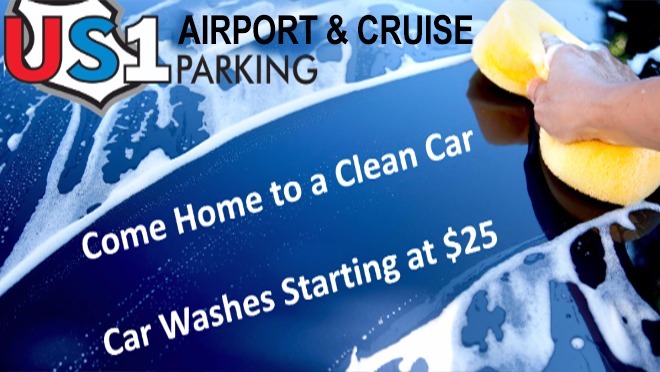 With US1 Airport Parking you get what you paid for and so much more! I will be parking at the US1 Airport Parking lot from now on! It's close to both the Ft. Lauderdale airport and to Port Everglades so it doesn't matter if I'm flying or taking a cruise, it's convenient (and affordable) for both! Highly recommend to anyone traveling from the Ft. Lauderdale area. The US1 airport parking lot is bigger than I thought it was. Being so close to the Ft. Lauderdale airport, I would have thought that the lot would have been much smaller. Full of security cameras and a security guard on duty at all times really helped to make my decision to keep my car here while I was away for a business trip. they can not find my car key... lucky I carry extra key..
US1 Airport Parking is simply the best parking lot I have ever used. It was clean, close to FLL Ft. Lauderdale â€“ Hollywood International Airport, the shuttle to and from the airport was great and the customer service was some of the best I've had in a long time. Five stars all around! Company appears to be understaffed. Long wait at the cruise terminal. Nothing bad to say about US1 Airport Parking. I do wish that it wasn't so busy all the time, that would have made things run more smoothly all around. I wish that I could give US1 Airport Parking more than five stars! This is THE place to park without a doubt. The next time anyone I know is traveling out of FLL Airport I will recommend that they use this lot! Thanks so much to the staff for providing such great service at drop off and pick up! This is for sure the best parking lot yet that I have ever left my car in and it's VERY inexpensive! Even better was that I used a bit of the money I saved and had my car completely cleaned and detailed so that when I returned from my vacation my car was in better shape than when I had left it. Parking at US1 Airport Parking is so worth it! The rates are the best ones around, the staff is always willing to answer any questions you might have and the lot is completely safe to use too with 24-hour security to help put your mind at ease. Reasonable rates. Not enough shuttles for the size group that needed to get to the ships, but was prompt at pick up on return. Car was ready for us immediately at the lot so little wasted time once dropped off. I was worried that it was going to cost me an arm and a leg to park my car near the airport for 2 weeks and then I found US1 Airport Parking and all those worries were quickly put out of my mind. This parking lot has the best rates you'll ever find! Booking this parking lot is so easy. I just jumped online and chose the date that I wanted to check in the time and for how many days I needed to park and that was it. It couldn't have been easier to make my reservation and then when I arrived everything ran smoothly too! Overall I had a great experience with US1 Airport Parking! Everything was exactly what I was looking for except that I would have the shuttle run more often (or add another shuttle) so that getting to and from the airport happened quicker. Being able to drop my car off at a reputable airport parking lot is important to me so choosing to use US1 just made sense. It's cheap to use and isn't going to leave you broke in the end. Plus it's so close to the airport that it literally took us less than 5 minutes to get there in the shuttle which was perfect! I was stoked to see that US1 Airport Parking offers several things that were on my MUST haves list for parking near the FFL airport. They are open 24 hours a day, have around the clock security and their fees are VERY reasonable, that's why we will only ever use US1 when we are traveling again! 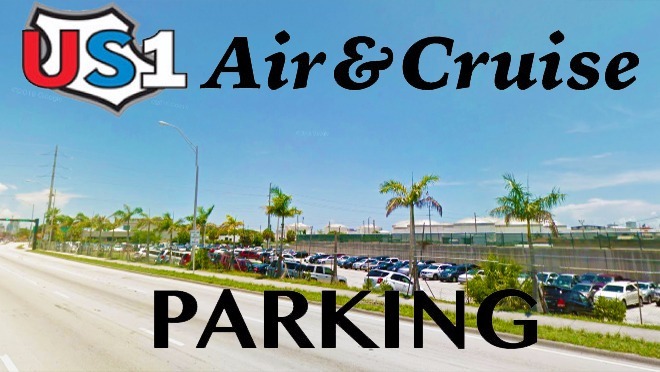 I was relieved to find US1 Airport Parking because it is so close to the Port Everglades where my family and I were going to leave on a cruise. It's not easy to find a company that cares about their customer service and upholding their reputation but US1 certainly does! Thanks so such a painless experience, we will be back for sure. I quickly noticed all the little-added details that US1 Airport Parking offers. There's tons of security, 24-hour service and it offers the best rates that I have EVER seen! The only suggestion would be to add another shuttle bus to help speed things up! Thanks for the awesome experience! We waited 45 minutes in the cold for a pickup at port everglades. It was 47 degrees when we came out of the cruise terminal. We called three times only to be told they were caught in traffic. It was Sunday morning at 7am and there was no traffic at all. Highly, highly recommend US1 Airport Parking. The lot is big, the staff answered all of my questions and the manager working helped to make sure that we got everything that we wanted without a problem! Will be using them again in the future and will recommend to everyone we know flying out of FLL Airport. When we arrived at US1 Airport Parking we could tell immediately that our car was going to be left with competent people who were going to ensure that it was kept safe. With the 24-hour video surveillance and security guard, we quickly realized that we had nothing to worry about. The service and professionalism at this Airport Parking are top notch! It's clear that everyone that works there is working hard to make sure that you have an enjoyable experience on your vacation starting with parking your car. I would highly recommend these guys to anyone and won't think twice about using them again. I love that there are options for making your reservation for US1 Airport Parking. I was able to book online while my mother called in and made her reservation that way. Check in was speedy and both carloads of people were on their way to Port Everglades which is close by. I would use US1 Airport Parking again in a heartbeat! The staff was very helpful and friendly both at the drop of and pick up of my car. And let's be honest here, there's no other parking place that is going to offer you this great of a rate with a shuttle to and from the FLL airport. They did a great job. I had no problems. US1 Airport Parking is extremely close to the FFL airport. Booking online made drop off quite easy. Daily rates are fair and cheap plus you can feel good about leaving your car in a lot that has 24-hour surveillance and a security guard who makes frequent rounds to be sure all cars in the lot are kept free from vandalism. I loved the added bonus of being able to have my car washed and serviced while I was on vacation for only $25! There's nothing better than coming home to a clean car. Thanks so much to US1 Airport Parking for taking care of everything for me. US1 Airport Parking is great because there are no hidden fees ever! The free shuttle service was great and got us to the FLL Ft. Lauderdale â€“ Hollywood International Airport quickly and dropped us right at our gate. Pick up was just as smooth, fast and efficient, the shuttle picked us up within minutes of calling and took us right to our car. This is the worse parking experience I ever had. The shuttle took one and a half hours to pick us up at the airport on our arrival then the car park attendant took almost twenty minutes to find out car I would never recommend this parking. Driver to seaport had expired license to enter port,nightmare was avoided by understanding port security guard. Service was great as always. The shuttle was on time and my car was pulled up to the front of the lot and ready to go. I love the customer service here and I will continue to park my car here when I go away on vacations. Driver and attendant were professional and quick. You should improve the signing to enter the parking lot. Transportation to and from the airport was great. Wait time for shuttle to depart for airport was approximately 20 minutes. Wait time for pickup from airport was approximately 10 minutes. Both transfers were early in the morning. Car was waiting for us upon return to parking area. Convenient location. We had a reservation and when we got there the lot was full and we had to find a last minute parking lot. Parked there several times. Got a ride from airport promptly, communication is easy (shuttle driver picks up the phone, so you can arrange pick up), so far car returned the way I left it. No complaints. was this a joke? 10 miles away from FLL, no transportation, beach park location, dark as hell in the lot, bunch of drunks all hanging around asking for money, smell of urine all over the place. I tried calling to cancel reservation no answer, emailed asking for cancellation no response. I will dispute this charge on my card that's for sure! The number on the receipt and website is a wrong number. When I call d the number, a girl picked it up and complained she gets a call all the time from their customers. She didn’t know what number to call to stop them because none of us has a righ number. I luckily found their driver’s number on the website and called them more than a few times. Nobody picked up the calls. Nobody returned my calls. I left a couple of voice messages and completly had no chance to get a ride from the airpot. They claim their shuttle picks up customers but I was wrong. What kind of business they run????? After waiting for 40 min at the airport trying to get a hold of them, I gave up and took Uber to their place. NEVER RETURN. Great location, great price and great service! It took forever for them to dropped you up to the airport coming was a bit better but it took them forever to get your car back. Customer at this place is 1 out of 5. But awesome location mad close to the airport. The shuttle service is terrible. I almost lost my flight because of the length of time it takes the shuttle to make it's round. When I asked other customers how long they had been waiting to get taken to the airport they said about 30 minutes. Mind you, the parking is only about 2 to 3 miles away. I am not from the area, so I asked the attendant if he had a list of cab companies that i may call? his response was , " I am not from here either". Upon my return, I was asked what airline I had arrived on and was told to just stand outside the terminal and that it would take about 15 minutes. Thirty minutes passed and I finally see the shuttle van heading my way. I tried to flag it down but the driver was in the far left lane and he just kept going. When I called the office I was told that I needed to be between the two terminals, something they failed to mention the first time I called. One hour and 40 minutes later I was picked up. My suggestion, have to vans so one is going to the airport while the other is coming back. pretty simple, but it makes a huge difference. Having said this, I do not plan on ever using your services. Price, Simplicity and trustworthy, but need more vans! Parking was good. The only problem was the amount of time waiting on the shuttle in each direction. We would have been better off taking a taxi or parking in a lot that has at least 2 shuttles. Shuttle takes for ever!!! Everything else it was fine. When we arrived Nov. 9th the guy at the counter was extremely rude and unprofessional. I needed to unload the car seat, stroller and my luggage and he came out yelling at me to move at of the way right now! I said not because I need to take my things out and he said" I don't give a F%$$! I could not believe that! Upon our return Nov 12th when we got there, we experienced an argument with one of his driver. He started swearing and cursing in front of everyone. We felt so unsafe I wanted to call the police because I thought he was going to get into a fight with him. I was traveling with a 4 month baby and my sister. We were so scared. He is a liability to US1 Airport Parking! I will never use US1 Airport Parking. It was a terrible experience. I drove around for 40 minutes to looking for the location when I got to Mini Cooper my Google Map said that I am at my destination, I was driving through all the back roads back out on the main road on Federal didn't find the place missed my flight had to eventually park for $15 at the airport. When I returned I called the 954 number I spoke with one Manny who told me that his company is US1 parking and I'll have to pick it up with instapark there's nothing he can do or call my credit card company to be reimbursed. When I called 1-800 number I got a voicemail greeting which said nobody could take your call right now that went on for hours. I called my credit card company they called money Manny who also told them to call instapark because he has nothing to do with instapark he is US1 parking. I think I was scammed and l will go to the BBB. I just want to be unregistered and have nothing to do with instapark and Manny !!! Very friendly service, thank you . When I phoned the office for pick up at 10:02 am, I was told they were on the way to get me. After 3 more phone calls and 57 minutes of waiting curbside the driver finally arrived. Mind you that the drive time is literally 5 minutes from point A to B. I was given no explanation other than "I'm sorry". On the way to the airport for my departure I stood around over 20 minutes waiting for the driver to jump start a vehicle with the shuttle van before taking me to my departure gate, without inquiry to my time constraints to catch my flight. They also keep the keys to your car, it is not self park. When i eceived my car, fortunately all was in order and nothing was missing, for that reason I did not give them a "terrible" rating. Nonetheless, their lack of professionalism and consideration given was apalling. I will never park here again. The Instapark site to secure parking here was satisfactory and gave me a better rate then if I wold have went directly through US 1 Airport Parking, however I remain totally dissatisfied with the overall experience. Served it's purpose. Staff was unprofessional over the phone and with customer interaction. Everything went extremley well from our arrival to our pickup from the port on day of return. Would use again and recommend. It was very affordable. They were great!! We were dropped off to the airport very quickly, and the pick up was very fast also.I would definitely use them again. Very quick service. You can tell the guys are working hard. Will definitely be using this lot again. I knew my car was in good hands. Service was great and quick. We were at the airport in no time and on our return, we were picked up quickly and our car was ready for pick up. I was really blown away by all of the amazing extras this lot offered. Car washes? Car detailing even? It was really amazing and for the prices they offered them for it was great. I got my carpets cleaned, seats, the wheels and they even left a little air freshener in there when they were all done! It was such a nice touch that they didn't even have to do but it counts. Once I left my car here I knew I wouldn't have to worry about it much during the course of my trip. It was a great feeling to know my car was in good hands form the moment they parked it for me with the free valet service! It was so easy to book this parking service, all I had to do was go online and choose the dates I needed to check in at US1 airport parking, the time I wanted to get there (so I could make my flight on time) and the same information about when I'd be leaving. It was all really seamless and I was really surprised at how easy it all was, to be honest. Great work. When I realized I had to park as close to Port Everglades as possible, I started to realize how expensive that might be until I found this lot. Very good price and for all the things you get as free extras, definitely worth it. By far the best parking lot I've left my car in, and for less than $5 a day too. I paid a bit extra and they even cleaned my car too. five stars all around! Definitely will be telling over people about this lot!! I didn't know valet parking was included in the price I paid at first, I thought for sure it was going to cost extra money! When the attendant at US1 came for my car, I offered to park it myself but he insisted and let me know this was an included service. Great work guys! Really outstanding lot! It was clean, great location super close to the airport, shuttle was fast, attendants were helpful, the service was easy to book online and overall the experience was just really positive for me. This lot was much bigger than I expected! Would have thought a lot so close to the airport would have been a tiny thing but I was wrong. A lot of spaces here, great security, cameras if you don't feel all the way comfortable and lots of great extra stuff like getting your car washed and even detailed! A friend of mine told me about this lot and I'm glad she did. She told me what a great deal it was so I had to check it out for myself and see what the fuss was about. Would definitely park here again! Great parking lot, really easy to find and I was really close to Port Everglades. So close I couldn't believe it. Service here was just beyond great. It was refreshing to pull up and have my car taken care of even though I came pretty late. At first Iw as worried about leaving my car anywhere but they assured me the car would be safe in the lot. They showed me the hired security, the surveillance cameras and I knew I wouldn't have to worry about anything. When I landed, my flight was much later than I expected and I worried about whether or not I would be able to pick up my car but US1 has 24 hour access and I was able to hop off of the shuttle buss and into my car so I could get home. My car was actually waiting for me when I got there. Now that's what I call service! I didn't even know you could park close to the cruise port, just thought I would have to leave the car far away at home and take a taxi over. Glad I found this place because it was right nearby. Awesome. I would definitely park here again in the future, it's one of the best experiences I've had as far as park goes! No complaints here! Great work and telling everyone I know about this place! It was okay. Wish the shuttle bus service just came without me having to call it but other than that it was good. Flying out of FLL can be stressful because of how busy it gets around there. Driving in the area is a nightmare, so trying to find parking is like trying to find a needle in a haystack. Especially GOOD parking at that, where you're not walking miles back to the airport itself after leaving your car. This was a really good find between the affordable price and how close it was to the airport. The shuttle bus ride didn't even feel like a mile long. I was literally out of my car and at the airport entrance all within 15 to 20 minutes and I expected it to take much longer than that. Truthfully, for $5 per day, this was the absolute best parking service I could have asked for. There were so many things that was amazing about this lot and it was so simple from the moment I found it online. Booking it was easy, I just had to put the date and time I wanted to check in and out and wait for the confirmation from there. I got there, and someone whisked my car away into parking right away so I didn't have to worry about it. Then, they let me know I could call the shuttle bus when I was ready to go and even helped me with my bags onto the bus. The ride was quick and simple, and even the driver was really friendly. I got to the airport with more than enough time to spare so it was a really great experience. Service at this lot was impeccable to say the very least and it's a place I'd absolutely recommend to anyone that I know that uses this airport. Even if you're headed to the cruise port, this is one of the best parking options I've found almost anywhere in Fort Lauderdale. I didn't even know there was free valet service until I pulled up and saw it for myself. They just took my car and parked it for me it was epic! I felt so good knowing my car was in good hands and everyone who worked there was able to help me, answer any of the questions that I had and basically just made me way more comfortable with the whole process because I was a little unsure at first but they made it go so much smoother. US#1 Airport Parking enabled me to have a worry free trip. Even with changes to travel plans last minute, they were able to accomodate me with long term parking at a great price! Shuttle to and from the airport was quick and both drivers were friendly and professional. It's during the holiday season where companies like US#1 Parking show weary travelers they care and customers like me gladly acknowledge in a generous gratuity! I booked my spot online and I thought "this shouldn't be so easy" I just picked my day and time and showed up with my confirmation. Form there, it was smooth sailing and I was able to get my car parked, luggage brought to the shuttle bus and to the airport with tons of time to spare. I didn't end up springing for the car wash add-on but maybe next time - I had just washed my car before I brought it in to the lot and for more money too! Had I remembered that was something the lot offered, I would have just let them do it. Anyway, service was great either way and I was so glad to bring my car there. It's hard sometimes to leave your belongings in other people's hands, especially something like car, but they made me feel really comfortable about the whole thing and didn't let me down. Amazing lot! Definitely would recommend to friends and family! Good work to the security team and the attendants! Car was safe and sound when I got back! Everything about the lot was great, except the shuttle bus it was a little dated. Good otherwise though! I have a flight out of FLL again next month and the second I knew my itinerary, I booked my parking spot right away. Never parking anywhere else! Lot was ok. Very clean! Secure and I could see the cameras, knew my car would be ok.
Never had a better experience than this one, honestly! I couldn't believe that this parking lot offered car washing and even detailing in the services. Sure I had to pay a little bit extra but it was definitely worth it. I didn't have time to get my car washed before I dropped it off so knowing they offered that as a service was a lifesaver for me. Giving this lot the highest possible score!! Such an awesome place this was. It was the perfect way to start my trip off before I even stepped foot into FLL I was already in a great mood and everything was going really smoothly. I got to the lot and there was valet parking! And it was free! No complaints here. They parked my car for me, showed me where it was and everything and this around 4 AM since my flight was at 630. The attendants helped me out and answered all of my concerns and made sure I got into the shuttle bus and at the airport in no time flat. Definitely a really easy going experience. Definitely would park here again. When I got back my car was just how I left it - safe & sound. The lot itself is pretty big, but really secure and has great surveillance all around it. I was worried about how big it was at first but then they showed me how they have everything set up in and around the lot itself and I felt much better about the whole thing after that. Everyone should give this lot a shot if they need to get to FLL or even the cruise port... it's pretty close to both of them. Really safe lot! I was surprised by how secure it all was especially because of how big it was. It seemed like it would have been hard to keep an eye on all the cars in such a big lot but they found a system that works. Came back to my car just the way I left it! A perfect parking experience, really awesome! I couldn't believe how close I was able to park to the FLL airport for less than 5 bucks a day. Really some top quality service here. Good work. I dropped my car off and it was filthy because I just didn't have time to wash it before I left the country. Once I got to US1 airport parking, they told me I could pay a little bit extra and get my car washed and even serviced while I was gone. Best decision ever!! When I got back my car was sparkling and in tip top shape too. It was great. Been recommending this place to all my friends who I know travel from FLL regularly. This is a great spot for them to keep their car while you travel, no matter how long you're gone for. I was in Europe for a month and at $5 a day, it was way cheaper than all of the other options in the city, especially ones close to the airport. Wish I could give it more than 5 stars!! Really good service I'm glad I found this place when I did. Awesome experience here, recommending it to everyone I know. Was worried at first about leaving my car behind somewhere other than my own house but they made me feel really safe from the moment I got there. Had a great experience. Shuttle bus service was fast and easy, made the whole experience a lot simpler. This is going to be a doozy. So I actually had a pretty bad experience here. First of all, when they valet parked my car they didn't let me choose a specific spot beforehand and then I wasn't aware that I needed to call for the shuttle bus to get me - I thought it would just come. So I'm standing there waiting and waiting until I check the website again and see the number to call the shuttle bus. I was there for maybe 15 minutes just waiting. And then, when I thought the attendant was going to help me with ALL my bags he only lifted one of them and I had to lift the other ones myself which I thought was odd. I had to share the shuttle bus with other people who were also in the lot. Why wouldn't you have private ones???? Anyway the trip itself was at least short, so I made it to the airport in good time and all of that. Picking up my car was a lot better though, they knew I was coming back and had my car waiting out front for me when the shuttle pulled in. Again, they only helped me with ONE bag (why not just take both?) But it was all good and my car was just how I left it so I guess that's good. Excellent parking, excellent location, excellent service. No complaints whatsoever!! As soon as I pulled up to the lot, the attendant took my car& parked for me - I didn't realize valet parking was included! The attendant Larked my car, let me know where it was and answered all of the questions I had about what they offered. Couldn't have asked for a better experience! I had to give this lot 5 stars it made everything about my trip so much easier than it would have been otherwise. Really a great job by everyone who works here, best place to park if you want to be close to the Fort Lauderdale airport. Good lot, would park here again. Only have great things to say about this lot, whole experience was perfect. Gave it 5 stars!! Amazing service! I went searching for a lot I could leave my car in without having to worry about it while I was away on my trip. I wasn't having the best luck until I found this lot and I couldn't believe how close I was to the airport! Great parking lot! For sure coming back here again! The lot itself looked pretty big when I got there to leave my car, so I wasn't sure how they were going to make sure mine was safe. That's when I started to ask the attendants a few questions and they assured me it was going to be fine. They have cameras and enough staff to let me know that my vehicle would be perfectly okay while I was away. A great place to leave the car! So great! I pulled up and there was free valet service ready to take my car and park it for me. It was perfect! An attendant helped me with my bags and helped me onto the shuttle bus to make sure I got to the airport in good time. I was really worried about leaving my car here at first because I have never left my car parked for long periods of time while I travelled. This lot has it all though! I was heading to a cruise and needed a lot that was safe enough for me. No only was there video surveillance but also a security guard stationed there. Those two things made me feel really good about leaving my car there, I didn't even call during my trip to "check in" like I thought I would have to. Overall great experience! It was only a quarter mile from the airport and the free shuttle was so quick! When I saw how many other services I got for the price I was blown away. This Is probably the best parking lot I've left my car in. I'd definitely recommend this parking lot to others who are travelling into FLL. It just makes it so much easier to leave their car there and make it over to the airport really fast. For a day rate of less than $5 that's amazing. Definitely parking here again the next time I'm in Ft. Lauderdale! When I dropped my car off I knew it needed to be washed. I didn't expect to find that service there I was so shocked! For a price of $25 I was able to get my car cleaned and washed before I came back to get it. I was so excited to be able to come back to a clean car once my trip was over. Parking in Fort Lauderdale is generally a nightmare so being able to find one so close to the airport was such a lifesaver. I had to call ahead for the shuttle once I got there, but other than that it was all pretty seamless. This was a really great place for me to leave my car, and I was really glad that I found it! I didn't think I would find anything so close to the airport and definitely not with all these extras. Definitely parking here again in the future!